Last edited by klw; 08-21-2014 at 03:20 PM. 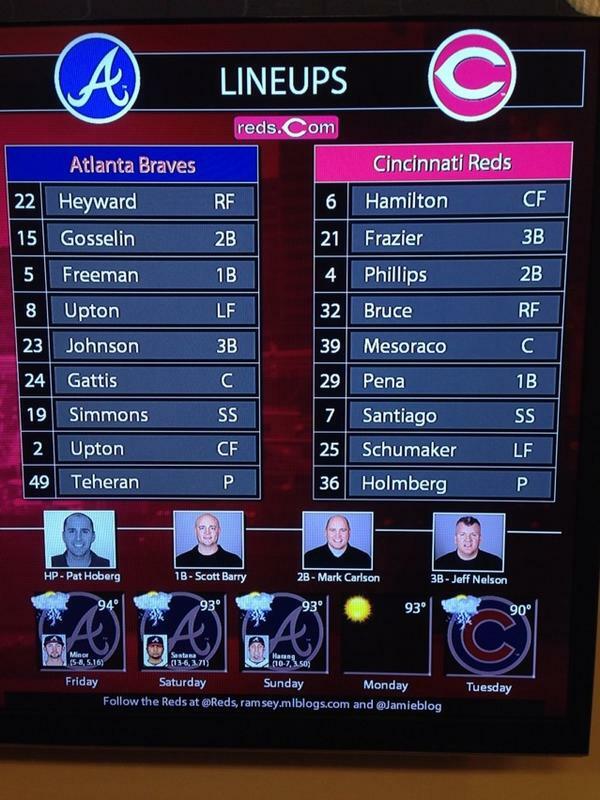 Well the plate umpire is Hoberg and the Reds are pitching Holmberg. There has to be some favoritism for the Reds there. Who knew Manziel was a Reds' fan? Braves announcers already mocking Holmberg. God I hate these guys. Game is on MLB Network with the Reds announcers. Holmberg retires the first two. There is a God. Holmberg survives the 1st. Johnson flies out to left. Holmberg staggers through that inning. Reds better score 15 in this inning to have a chance tonight.